If you are moving into a condo, already living in a condo, or just thinking about a condo purchase, you may be wondering where you can find the appropriate furnishings. 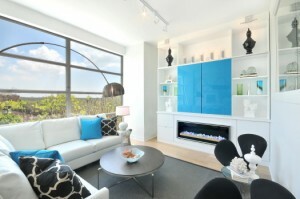 When it comes to condos, staying on the cutting edge of decor and style is important. The perception of what is current and in style can change daily, so choosing trendy furniture can be a challenge to a condo owner. Always keep resale value in mind when choosing furniture for your Toronto condo. You will most likely not be living in this condo forever, so you want to pick furniture that will be attractive to a wide demographic, when it’s time to sell. If you purchase a new condo with a smaller floor plan, you will need furniture that will flow with the space, while maintaining your comfort and lifestyle. This means you need to think about the volume of furniture you purchase, while considering room sizes and storage. The choice to live in a condo means you must commit to living a clutter-free lifestyle. Even though most condos have at least one closet and a storage locker, the space for storage is quite limited compared to freehold homes. Resource Furniture – Located in the St Lawrence Market area, at 366 Adelaide Street East (Suite 102). Gus Modern – Located in Queen West, at 940 Queen St West. UpCountry– Located in Corktown, at 310 King St East. Limitless – Located in the St Lawrence Market area, at 366 Adelaide St. East, Suite 150. Visitor Parking – Located in North York, at 233 Signet Dr.
EQ3 – Located in the St Lawrence Market area, at 222 King St East. Crate & Barrel – Located in North York, in the Yorkdale Shopping Centre, at 3401 Dufferin Street. Condobox – Located in the St Lawrence Market area, at 232 King St East. Casalife – Located in Liberty Village, at 170 – 171 East Liberty Street. If you still need help choosing the correct furniture for your Toronto condo or loft, I work with a Toronto condo staging service that provides design consultations.